Happy St. Patrick’s Day! 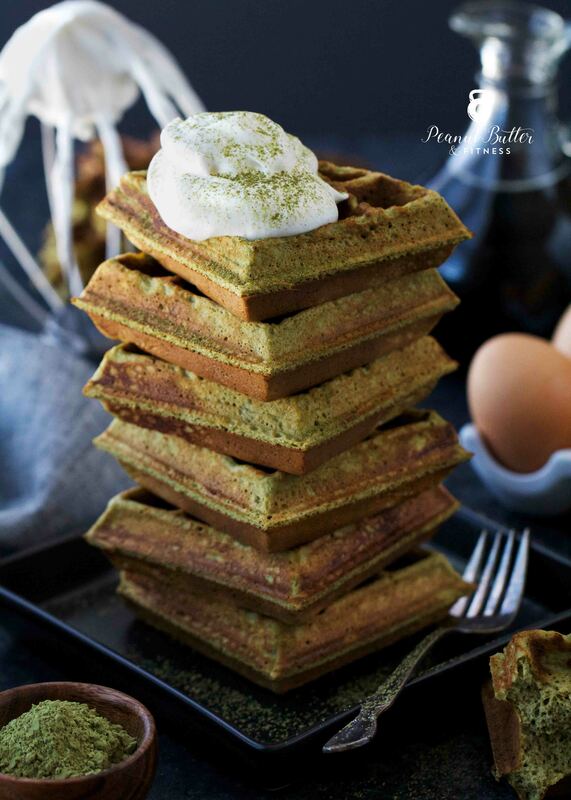 I’ve seen lots of green food on Instagram this past week, so I’m excited to bring you something new and green today – these Matcha Protein Waffles! I’m a big fan of green tea, and matcha is like green tea’s more mature older brother. The flavor is more complex, a little earthy and nutty, with a slight sweetness. 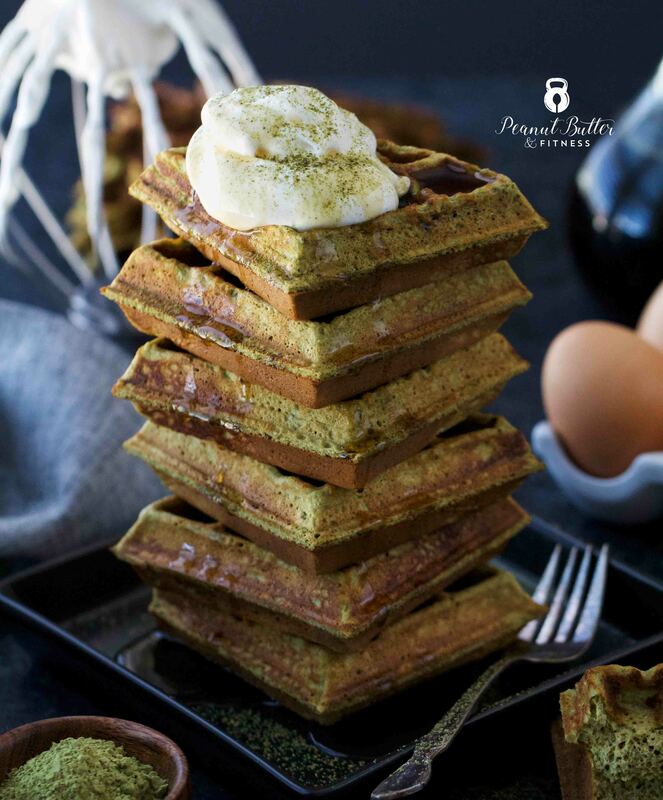 I was a little worried that the flavor wouldn’t come through in a cooked waffle, but these have such an amazing matcha flavor that I couldn’t stop eating them after their photo shoot. 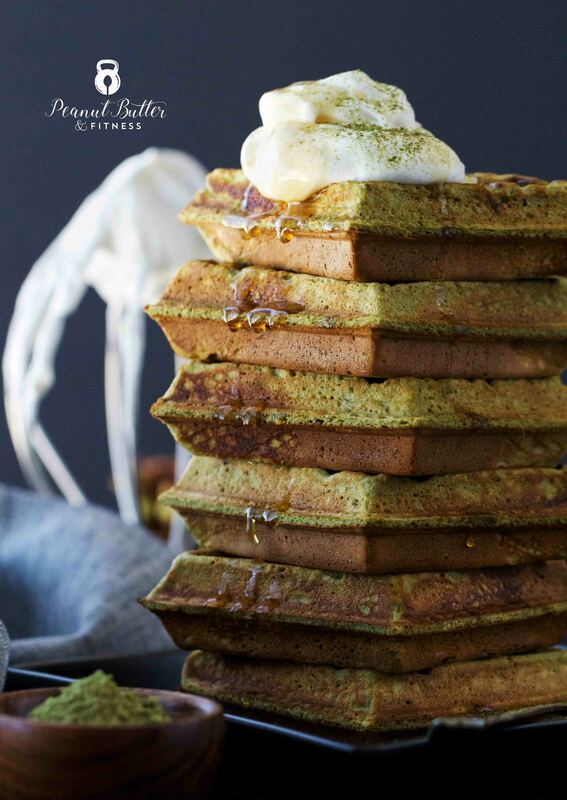 I’ve seen people put matcha in just about anything, but so far I’ve really only shared one matcha recipe on PBF (*gasp*). Well, I hope you’re ready for more, because a matcha floodgate may have just opened! I finally broke down and bought a stand mixer recently and I’m a little obsessed with making whipped cream using it! 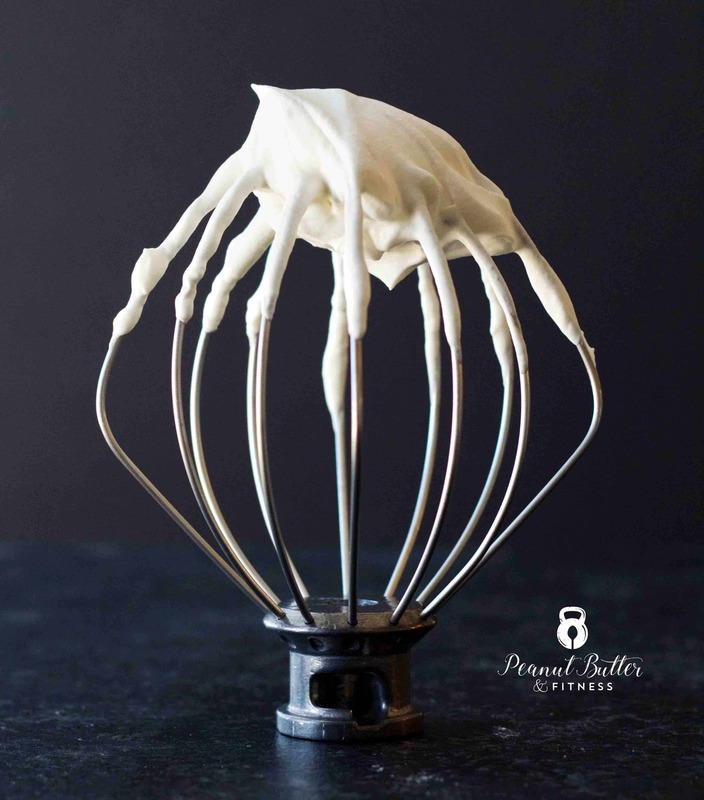 It’s so easy and makes me wonder why I haven’t always been making my own whipped cream. Seriously, it takes less than 5 minutes! Just add a cup of heavy whipping cream, 2 tbsp of granulated sugar, and 1/2 tsp of vanilla and whip on medium-high for 3-4 minutes. Boom. Welcome to pillowy clouds of whipped cream, no aerosol or weird food additives needed. Pre-heat waffle iron to medium heat (I set mine to about 4 1/2). Mix all dry ingredients, then add wet ingredients and stir until just combined. Spray waffle iron with non-stick cooking spray. Pour 1/3 of waffle batter into waffle iron, flip waffle maker to other side and repeat. Cook for about 4 minutes or until waffle is cooked through. Repeat with final waffle. 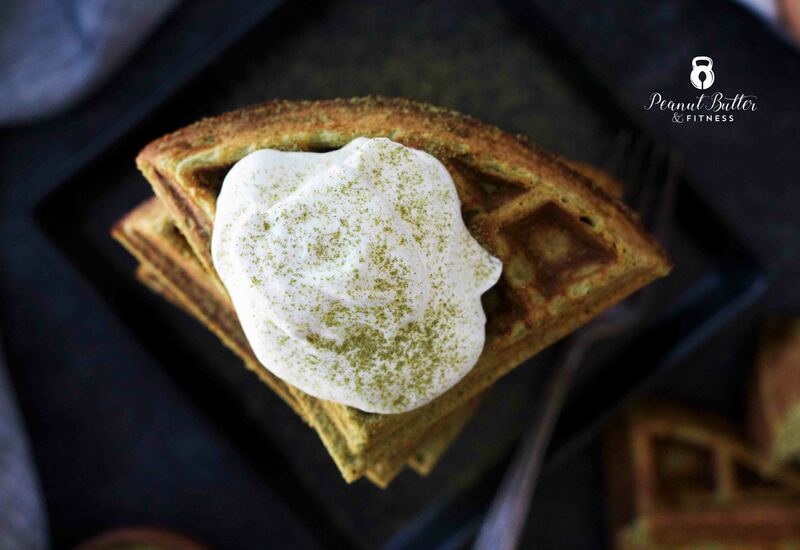 Serve waffles with whipped cream, maple syrup, and additional matcha powder dusted on top, if desired.